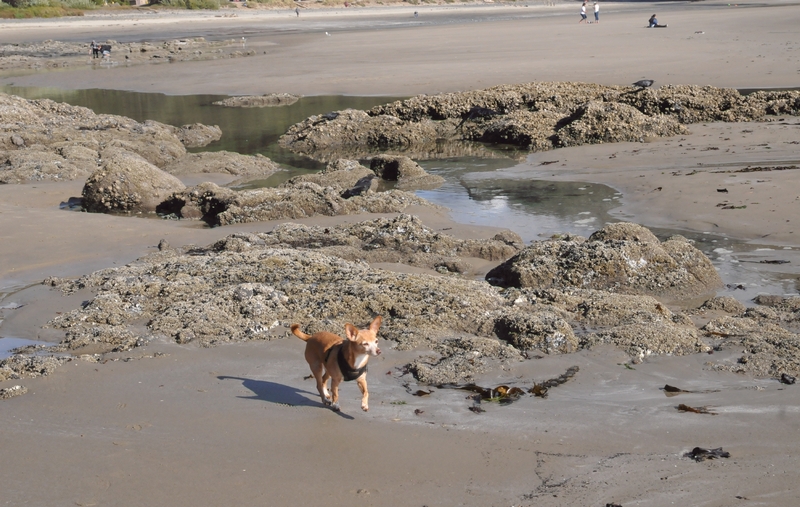 Gypsy trotted alongside tide pools on Lighthouse Beach. She wore her collar so the she could be re-leashed should the need arise. 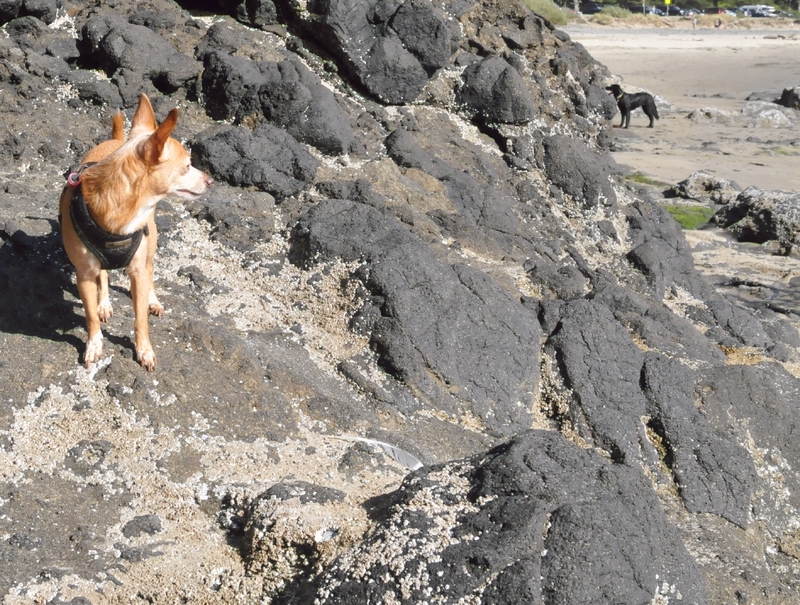 Gypsy glanced back along the rocky cliffs of Lighthouse Beach to glimpse another dog in the distance.